A welcome letter for your out of town wedding guests is always a nice touch. It not only makes your guests feel special, it is a great way to express your gratitude. 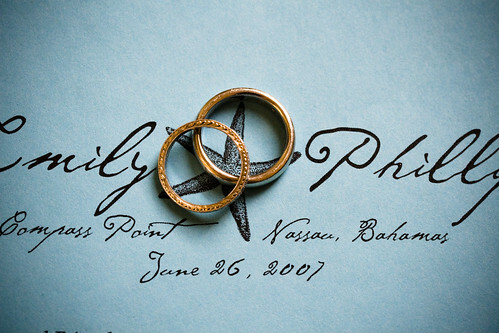 Include a timeline so that your wedding guests are aware of what is going on when. Having the agenda as part of their wedding gift bags will cut down a bunch of phone calls that you would have received. Make sure to include good, clear directions to each event. Print out a list of things to do in the city that you are getting married in. Recommend activities and restaurants for adults and kids. Try to recommend activities that are locally popular and unique to the area. Telling people to eat at the local Olive Garden may be functional but won’t give people a taste of what the city is about. Including the two things above will cut down on the number of phone calls you will receive during the weekend of your wedding. It will also add a touch of class to the entire event. Take a look at our FAQ page where we have listed the most common questions brides have asked about getting a block of rooms. Want to save money at your wedding? Sign up for our newsletter and learn how to get perks like free hotel rooms, shuttle service, and more for your wedding. "I got a free bridal suite when I blocked hotel rooms for my wedding. Loved how simple and easy this service is.